0x51 may differs on you installation. Run i2cdetect -y 1 to find the right value. 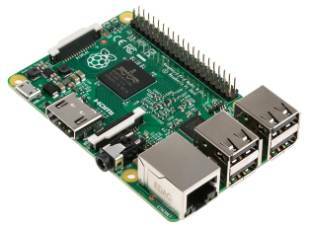 Can a Raspberry PI be used as a firewall? a USB to Ethernet wired interface. 100 Mbits/sec. Raspian (May 2015) as the OS. My Internet connection is 30 Mbits/sec. for download, 10 Mbits/sec. for the upload speed. www.speedtest.net has been used to carry the speed tests. The answer is NO. I got a download speed of about 30 MBits/sec. Using a PC as the firewall with a similar setup, I achieved around 32 MBits/sec. While doing the download test, the CPU usage was 100% while being 20% for the upload test. Memory was not an issue with about 165 MB free. 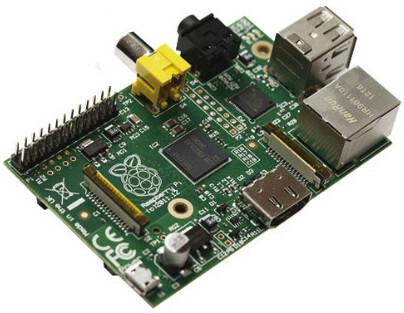 I would certainly use this Raspberry PI as a firewall for an Internet connection of 20-20 Mbits/sec. or less. A similar test will soon be performed using a Raspberry PI 2. Cura integrated with Octoprint brings your 3D printer to the next level. You can download from HERE a fully functional image of Cura integrated with Octoprint. Simply copy this image to an SD-card of 4GB or more. Instruction to copy an image on an SD-card is given on this PAGE. You will need to unzip this file prior copying the image to the SD-card. A 4 GB SD-card will give you about 1.2 GB of free space to upload your models after expanding the filesystem. Be aware that some folders are hidden. Make sure you display them. This image is fully functional. Nevertheless, the following might need to be done. Logon to the Raspberry Pi. Issue the command sudo raspi-config. You may wish to expand the filesystem (Option 1) and change the memory split to 64 (Option 8 > A3). Modify the settings as needed on another computer with Cura installed. Save them as CuraConfig.ini by going to File > Save Profile. Replace the content of /home/pi/Cura/config/CuraConfig.ini (on the SD-card) with the content of the saved CuraConfig.ini file. Copy the file preferences.ini located on the computer (located in ~/.cura/[version]/ if using Linux) to /home/pi/.cura/dev/preferences.ini on the SD-car. Set up a fixed IP address to the Raspberry Pi. Instruction can be found HERE. Change the default password for the user pi. Instruction can be found HERE. Enable the access control of Octoprint. To do so, edit /home/pi/.octoprint/config.yaml. Set accessControl: enabled to true and server: firstRun to true and reboot the Raspberry Pi running Octoprint. A lot of people is having problem setting up a Bluetooth keyboard and mouse on the Raspberry PI. Things get more complicated when your wired keyboard or mouse does not work or prevent your Bluetooth dongle from working. There is hope. This step by step procedure will let you install them or at a minimum let you know what does not work. It uses only the command line interface. It is targeted for the Wheezy Debian distribution. First of all, if you already tried to set them up and they do not work, start with a fresh install of the OS. This will rule out anything you have done before that would prevent this procedure from working. Plug the Bluetooth dongle directly on the Raspberry PI board. Boot the Raspberry PI and connect to it using SSH from another computer if possible. Otherwise, use a wired or wireless keyboard. Logon as pi, password raspberry. Install all the updates. It will take a while. Reconnect as described above. Logon as pi, password raspberry. Switch to root. Install the required packages. It will take a while. Make sure that your Bluetooth dongle is recognized. If not, unplug it and re-plug it. Make your Bluetooth device discoverable. Refer to the device manual. Pair the device. When requested, type a pin like 0000 and hit ENTER. If you are pairing a keyboard, type the PIN you have entered and hit ENTER on the keyboard you are pairing. If you are pairing a mouse, you also need to type a PIN of 0000 when requested and hit ENTER. This PIN might depends on the mouse manufacturer. Connect the device. After a few seconds, your device will be usable. Repeat the steps from “Make your Bluetooth device discoverable” if you need to install another device. When you will reboot, the devices will reconnected automatically after a few seconds. You can initialize your Raspberry PI wireless connection automatically at boot time if the instructions given in a previous post entitled How To Setup A Protected Wireless Connection Via The Command-Line worked. This is pretty straight forward. You must be root to carry out these instructions. Save the wpa.conf file created in the previous post somewhere on the SD card you use to boot the system. For example in /root/bin/wpa.conf.